New Kids on the Block member Donnie Wahlberg posed for the above mug shot in March 1991 after Kentucky cops charged him with arson. 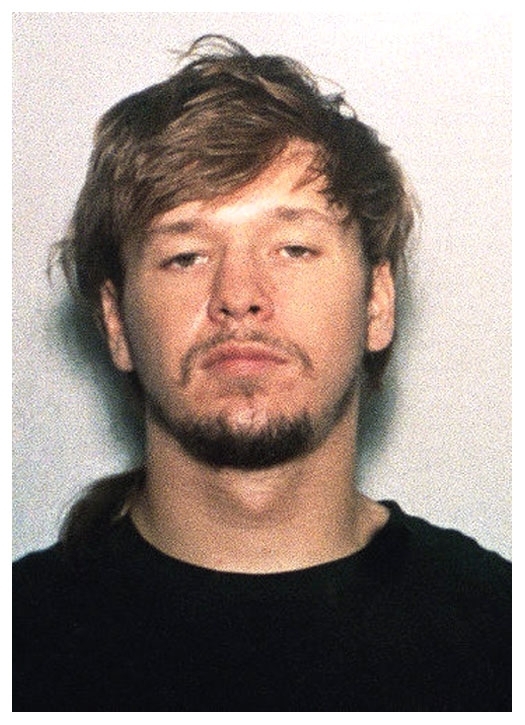 Wahlberg, 21 at the time, was accused of setting fire to a piece of carpet in a Louisville hotel. The boy band singer subsequently pleaded guilty to a reduced charge of criminal mischief. Submitted by SpecialEd on Thu, 2011-06-02 23:53. New Kid on the Rock. Carpet? Burn? Submitted by Roseycam00 on Wed, 2011-05-11 15:53.